Boundaries don’t have to be harsh, rigid, strict or punitive. When I adopted my children I was told “they just need firm boundaries”. They needed a whole lot more but getting clear on boundaries for them, for our family enables me to do the rest of the things they needed. I needed to learn about boundaries in a whole different way from that life of corporate hours, working hard, playing hard and being bound by policies and procedures. Boundaries enable us to clear and consistent. 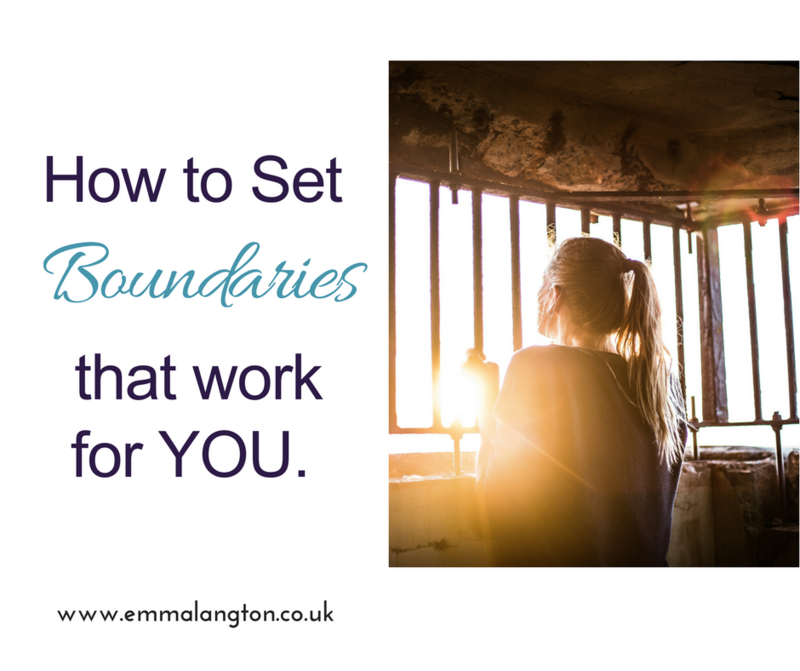 Setting boundaries can get you out of overwhelm so you can step back and achieve what you want to achieve; in life or business. Boundaries are not about being rigid, strict, harsh or punitive. Neither are they something flimsy or non-existent. Boundaries will need to be firm, fair and clear. You’re going to be far better at accomplishing clear and consistent boundaries when you are comfortable in your reasons and emotions around them. Boundaries are not just about what you do, they are about feeling comfortable with them too! To be really effective and clear with your boundaries it’s a good idea to have a look at yourself too. It might highlight some personal development or mindset work is needed. When I set up my business so that I could work around the extensive needs of my children, I could see exactly where firm boundaries can add value to my business too! Good clear boundaries that you maintain and live by, provide the foundations to you and your business. It’s worth making the time and effort to get clear on your boundaries. When you’re clear on your own value, your self-worth, your needs and desires, it is so much easier to set boundaries. We tend to put a lot of value on our business but less on ourselves. Be careful the two are not mixed up! I value time for yoga, journaling and family time. You might have some other exercise, passion or need. Ensure you have space and time for those. What are the essentials for you? These are both personally and professional essentials. It might include who you work with, where you work, how you work. Essential are also things like marketing, promotions, doing your accounts, client calls. There will be essential personal aspects too — you need to eat and sleep to function well, so don’t forget to include these! Decide the hours you will work or be available. They don’t need to be standard 9–5 hours. If you don’t have a clue or this feels uncomfortable, take a week to log the hours your work and what you do in that time. This helps you see what you do and when. You might be surprised! When you set your working hours, publicise them, tell people about them. If you’re on social media or in groups, clearly set out when you are available. Tell people what you expect from them and what is not acceptable. State this in your client calls or contracts too. Communicating clearly includes learning to be comfortable saying NO to people. Be aware that you need to do this. How to do it easily is a whole other article! If you’re doing all the above steps but are not comfortable doing it, then there’s just going to be more stress and overwhelm. Assess what you think and how you feel. What do you need to work on, change or re-frame? Making changes in our lives and businesses is not always easy, but often is worthwhile in the long run. It will take practice. Know that you will forget and slip back into old ways. Catch yourself doing that and re-set. Most of all, BE KIND to yourself whilst you work on getting comfortable with your boundaries. It’s worth the effort in the long run; for your business and your life. Book your boundary breakthrough call with me HERE . This article was written by me, Emma Langton, and originally published on Thrive Global in July 2017.